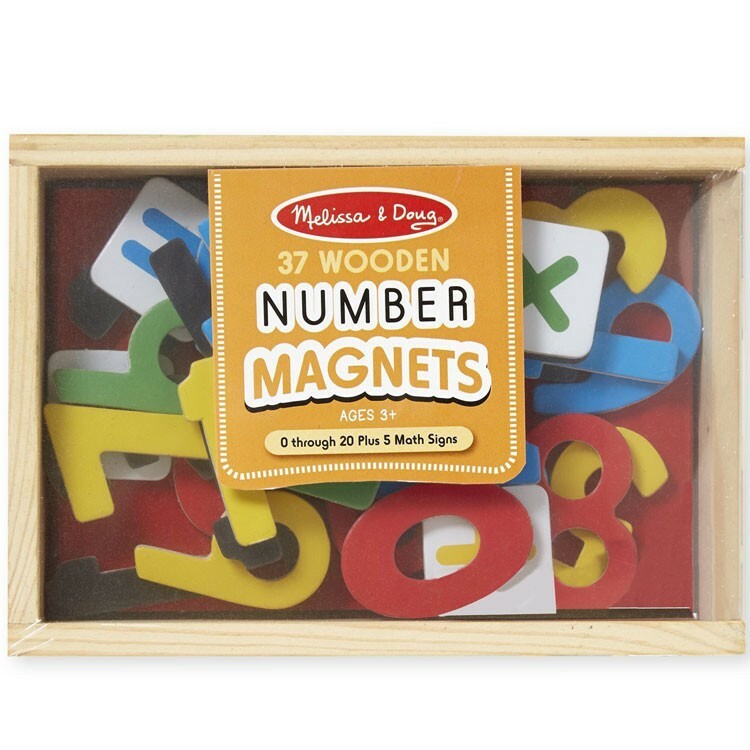 This quality magnetic numbers wooden playset by Melissa & Doug gives children a fantastic way to learn their numbers and practice math skills an play with colorful wooden numbers. 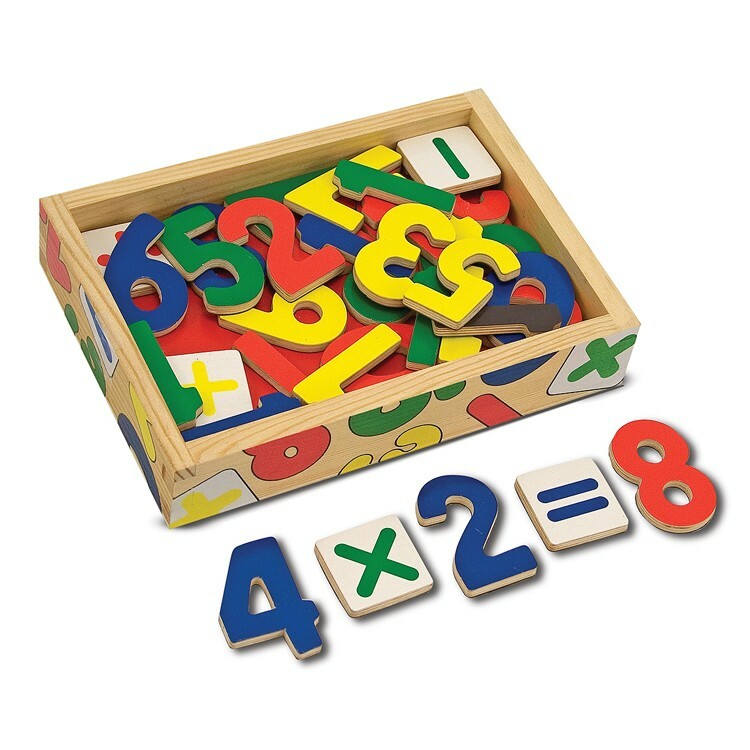 Multiply, divide, add and subtract! 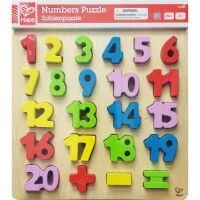 All these fundamental math skills are covered with Magnetic Wooden Numbers! 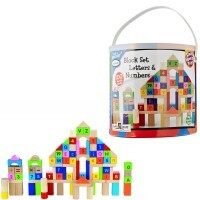 This quality magnetic numbers wooden playset by Melissa & Doug gives children a fantastic way to learn their numbers and practice math skills an play with colorful wooden numbers. 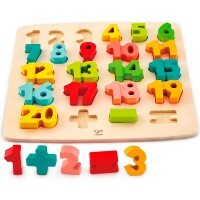 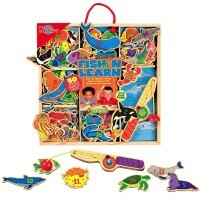 This numbers teaching toy is perfect for at home, in the classroom, or even on-the-go with its convenient storage box! 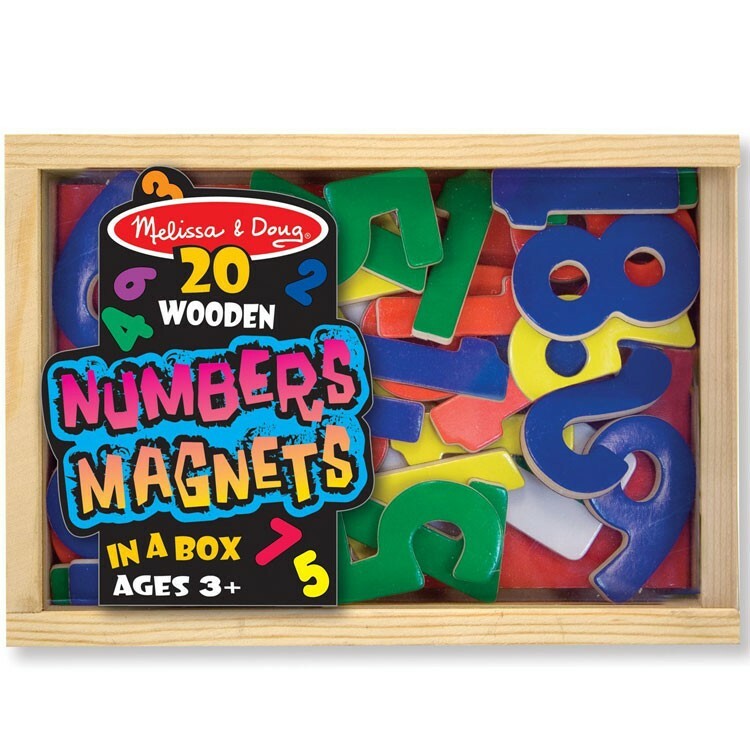 Magnetic Wooden Numbers includes 37 magnets: the numbers 0-20 and five math symbols. 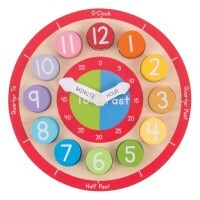 Educational Toys Planet offers this essential math teaching toy so that young mathematicians can learn the basics of math in an enjoyable and simple way! 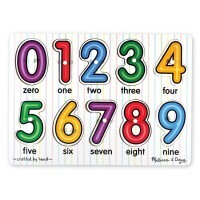 Dimensions of package 5.5" x 2" x 8"
Write your own review of Magnetic Wooden Numbers. 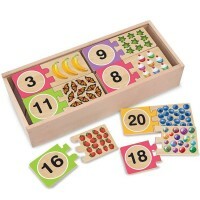 Rating: 5 Great way to practice math by Jessica G This set is a great way to practice a lot of math concepts. 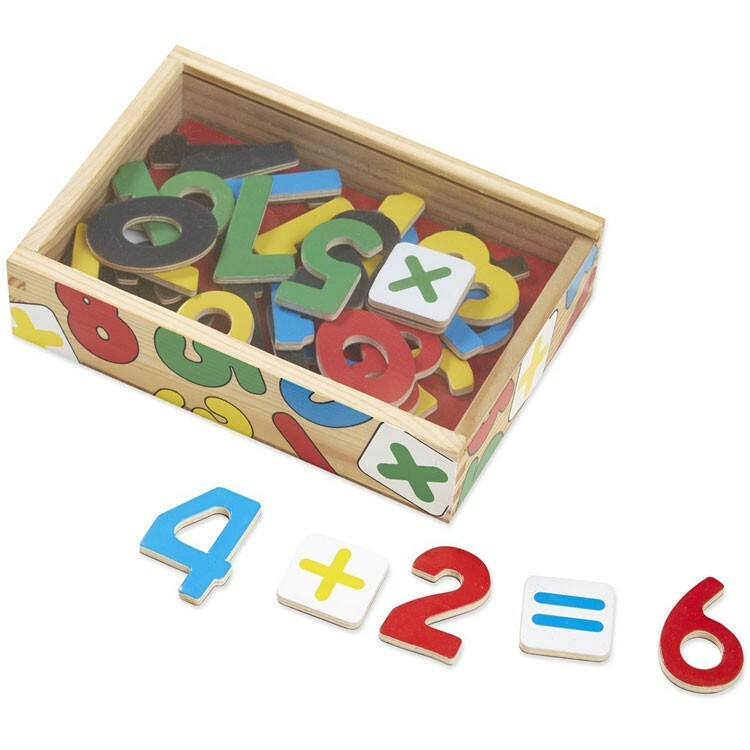 From preschool to algebra, it can be used for just about anything. 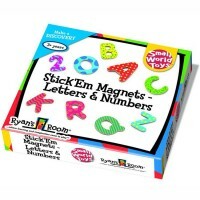 It can also just be used for magnet fun. 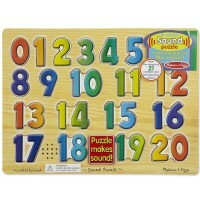 Practice number recognition, counting, addition, subtraction, multiplication and even color recognition. 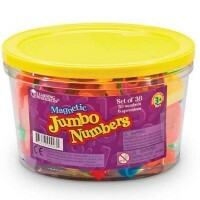 The possibilities are really endless!